It was once said that when it comes to matters of beauty, a woman always wants the opposite of what she has. There is always an exception to every rule but in many cases, I’d say this one’s pretty accurate. Many women with stick straight hair – like me, for example – envy those with beautiful curly locks. Many women with naturally curly hair want straight hair. Girls like me go to great lengths to get those curls we covet. We buy curling irons, hot rollers and various related products to get the look we want. Girls with naturally curly hair buy straightening gels and flat irons to try to straighten out those curls. Sometimes though, girls with straight hair and girls want the same thing – gentle, delicate waves that are all the rage these days. Much easier for a girl with straight hair to get, or so it would seem. If you want to know how to make curly hair wavy, this is the article for you. 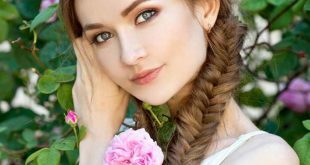 Let’s start off with a few basic tips and then we’ll do a step by step guide that will teach you how to make curly hair wavy just the way you want it. This one really couldn’t be more important. 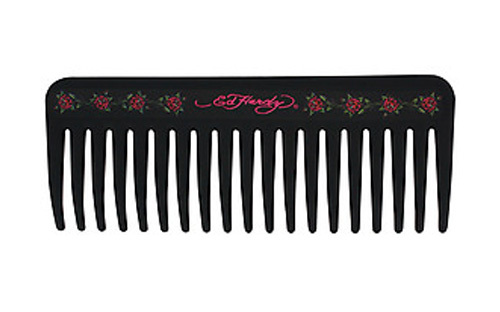 First, you’re going to want a wide toothed comb for your hair. Wide toothed combs work are just as good at getting out tangles as brushed and fine toothed combs but they won’t damage your curly hair the same way brushes and other types of combs will. You don’t have to spend a lot of money to buy something fancy. You may even be able to find something decent at your local discount store. The material the comb is made of isn’t important as long as it has wide teeth. There are a lot of hair products out there that promise to straighten even the curliest hair but if you’re not looking for stick straight hair, you really need to be careful. You want a straightening product but you don’t want something too harsh or heavy. Look for something that is a little versatile. If a product says you must leave the product in your hair for a certain amount of time and you must use a certain amount of product, you should avoid it. If that’s absolutely all you can find, play around with the amount of product you use and the amount of time you leave it in on your own. I would recommend giving yourself time to experiment. You don’t want to try out a new product just before you leave the house. It leaves you no time to correct any mistakes. You also want to buy a product that will tame frizzy hair. I recommend anti-frizz serum. Most anti-frizz serum isn’t heavy or sticky so it doesn’t leave your hair looking hard or crunchy as some anti-frizz gels can. Cream also works well too. Find something that you can work through dry hair. Keep this product on you at all times. 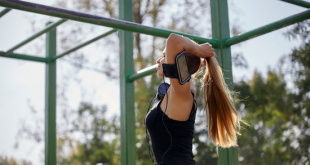 You can work it through your hair if you think your hair is looking a little too frizzy. You can also use a little bit of this product on your hair if you don’t have time to shower before you leave. The great thing about anti-frizz serum is that you can use it with your straightening product without it weighing your hair down, leaving you with the wave you want without the frizz. I would also highly recommend investing in a hair mask product. Curly hair lacks a protein called keratin which means it can dry out more quickly than other hair types. When you add a lot of hair products or heat products to the equation you can wind up with severely damaged hair and once hair is damaged it can be extremely difficult to repair. A hair mask product helps prevent your hair from drying out even with all the products you’re going to use to turn curly hair into wavy hair. This should also help with the frizz as well. Use your mask product once a week to keep your hair healthy. Try using it on the same night every week to get yourself used to using it. A routine will help you remember. If you’re not sure what type of product to use for your hair, speak with someone at your local salon. You don’t have to buy the products they try to sell you through their salon. You can often find great deals on hair care products online, in department stores or in drug stores. Ask lots of questions so you know more about what kind of product you need in case you can’t find the same product anywhere other than the salon. Ask why it works. Oftentimes a stylist will tell you an ingredient in the product that you can look for in other, similar products to get the benefits of the salon quality product without the salon quality product price tag. Invest in a decent set of rollers. Buying hair rollers might seem a little redundant for those of you with curly hair but if you want to turn those curls into waves, you’re going to need a set of medium sized rollers. Magnetic rollers are the best as they’re easy to use, quick and effective but they won’t dry out your curly hair. If you are able to find a decent set of magnetic rollers that have multiple sizes in one kit, you’re all set, pardon the pun. We’ll talk about how you’ll be using these rollers in a few moments. Don’t stop washing your hair just don’t use shampoo when you do it. Instead, wash your hair using conditioner only. I don’t have naturally curly hair and find washing with conditioner alone leaves my hair limp and lifeless but that’s kind of what you’re looking for when you’re trying to turn curly hair into wavy hair. You want it to be a little flatter. You want to reduce the frizz. You may still want to use shampoo on occasion but keep it to a minimum. 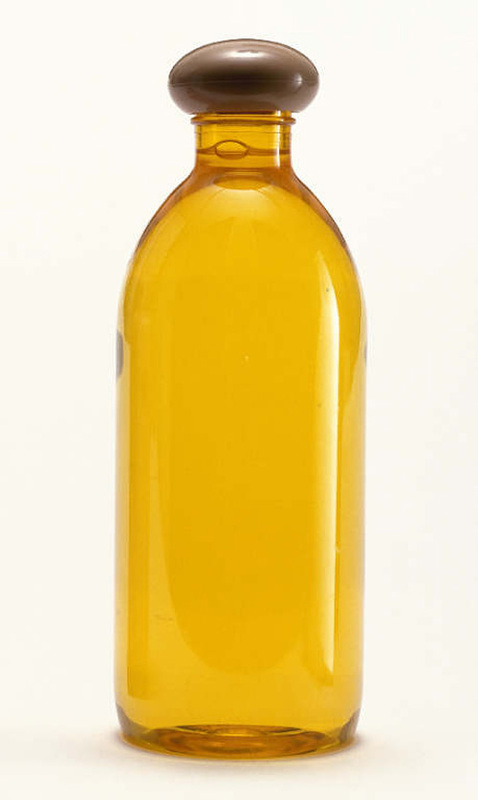 As you skip the shampoo more often, you’ll notice your hair is smoother and you’ll have a lot less frizz to deal with. Shampoo is also a big culprit for dry hair among the curly haired ladies community. Many of the shampoos currently on the market are loaded with tons of harsh chemicals and ingredients that will dry out your hair and sometimes even damage it. If you hair is dried out it will be much more frizzy. Shampoo is also responsible for uncooperative curly hair that will just not do what you tell it to do. When you do use shampoo, use something mild. A dear friend of mine with the curliest hair I’ve ever seen swears by baby shampoo because it’s incredibly mild and works wonders on her hair. It’s important to remember though that your hair is probably used to all the bad stuff you’ve been cleaning it with. When you first cut out shampoo, your hair is going to be even harder to deal with but that only lasts a short time. Allow your hair time to get used to its new routine. You’ll be glad you did. Now that you have the basic products you’ll need, let’s talk about how to make curly hair wavy in greater detail. 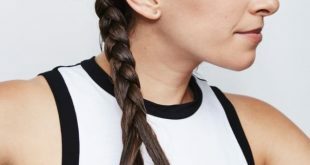 How you wash your hair plays a role in how successful your attempts at turning curly hair into wavy hair will be so it’s worth talking about a little more. You need to start off my getting your hair wet obviously. When it’s time for the shampoo, you’re going to skip the shampoo and go straight for the conditioner for the reasons we discussed above. Put your conditioner on the scalp first and massage it in. You’ll work out all the dirt and oil at the roots of your hair this way. Rinse out that conditioner then put a little more in the palm of your hand. Starting at the roots, use your fingers to work the conditioner through your hair to the tips. This also helps you deal with tangles before you hair is even dry. Don’t plop the ends of your hair on top of your head and rub because you’ll actually damage your hair and create more tangles. When you’ve worked the conditioner through your hair, rinse it out using cold water. Cold water will invigorate your hair and your scalp and will help set your look later on. Step Two: Get rid of the tangles. With your hair still wet, start working your wide toothed comb through your hair. You have to be especially careful when combing out wet, curly hair because it is extremely easy to damage the hair if you’re not. You definitely want to avoid that. Continue running the comb through your hair until it glides through the strands with no resistance. Step Three: Set your hair. Now that you have all the tangles out, it’s time to bust out your rollers and set those curls. If you want larger, softer waves, go for larger rollers. The bigger the roller, the looser the wave will be. You can experiment a little bit to see what you like the most. If your wave doesn’t hold, you can work in a small amount of styling product before you put the curlers in but it won’t be necessary for most. Put your curlers in by taking a small section of your hair and smoothing it around your roller. Depending on the kind of roller you’re using, you may need to secure the roller with a clip. If you want waves all over your hair, continue this process until all of your hair is in rollers. If you want a uniform look, make sure you use roughly the same amount of hair for each roller. If you’re looking for something a little messier or more romantic, use the amount of hair that feels right for each section. Having the same amount on each one won’t be necessary. You can also choose to put rollers in some parts of your hair. Play around with it and see what look you prefer. 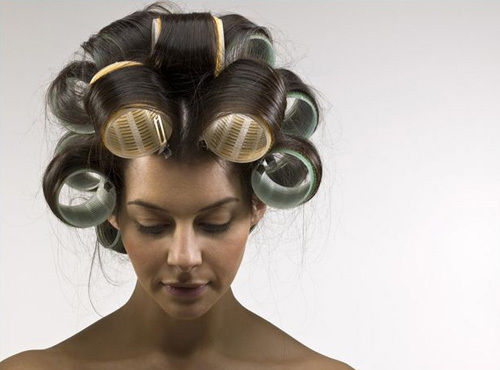 Once you have all of the hair set in curlers, you’re ready to let them dry. Step Four: Dry and remove the rollers. It is best to let your hair dry whenever possible. Heat can do a lot of damage to your hair and that’s something you need to be especially careful of with curls. If you’re in a rush though, you can opt for blow drying. If you have a ‘cool’ setting on your blow dryer, use that. It will help lock in your curls. It’s also a good idea to use a diffuser attachment if you have one as you’ll want to reduce frizz as much as possible. Once everything is dry, remove your curlers. Step Five: Apply the finishing touches. With your hair dry and your rollers out, it’s time to finish up. You can use your fingers to separate your waves and loosen them up a little bit if they’re still too curly for your taste. Don’t touch them too much though or you’ll make them look frizzy. Apply a small amount of finishing product to the tips of your hair to give the ends a bit of weight which will help keep the waves from twisting back into curls. Now you’re all done and ready to show off your lovely new look.